Wheaty, hoppy, sour, dark, light, bitter and fruity — you get the idea. Craft beer in Lake Tahoe has grown into an art and tasters totally pride themselves on identifying the brew’s profile. Do you have all it takes to describe your favorite craft beer? In addition to thinking beer is great, OneRooftop also loves loves loves live music. 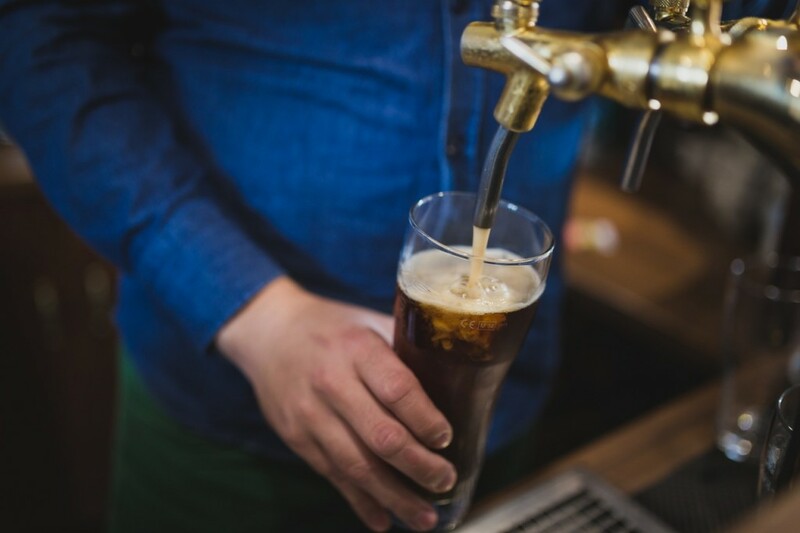 We’ve put together this list of beer descriptions you can try out at three craft beer and music festivals in Lake Tahoe! Bookmark this post and check back when you’re, ahem, practicing. Accessible A solid beer. Simple, and a taste everybody can like. Plays well with others. American Pale Ale Broad term, but generally a malty, hoppy beer. Typically floral but can be rough and bitter too. Assertive The flavors that push back and make their argument understood. Backbone For describing the malt in your beer. Means it tastes balanced. Bitter Self-explanatory. In some craft beer circles, bitterness is seen as a contest. Bright Typically a visual description of non-hazy beer, but it can also describe the citrus notes in the hops. Bubblegum If you taste the pink bubble gum from childhood in your Hefeweizen, tell someone. It’s good for a laugh although you may be asked to share. Clovelike Some wheat beers will have a spicy taste like cloves. Crisp Refreshing on a hot day. Crisp is dry and you’ll feel it in your cheeks. Dark From brown to black in color. You’ll be surprised that not all dark beers taste bitter or like chocolate. See notes in red ale. Dark fruit Plums, grapes (or raisin), cherries. If you find a Belgian style beer, try to distinguish the dark fruits. Hollow The chances of finding a hollow beer at these events is unlikely. Nonetheless, knowledge is power! Hollow beer means the malts are doing absolutely nothing for you. Equals yuck. India Pale Ale Marked for the distinct bitterness, IPAs are a lot of fun when you can differentiate hops and malts. Often higher ABV, so drink with caution. Imperial A prefix often seen in Stouts and IPAs, meaning very. For example, an imperial IPA is like an IPA, but more so. More hops, more profile and assertive flavors. Light Less substantial, less weighty. Also refers to color. Although it’s often more accessible, you may recall the scent from college. Oatmeal Smooth taste and dark in color, it will be a heavier beer. Profile The what of what you taste. Walk someone through the experience of tasting the beer. Red Ale Still considered under the umbrella of dark beer, the color will be more red. Often a balanced beer, toasted, malty notes. Fruity flavors will get in there sometimes too. Rancid Some beers will taste like actual stinky cheese and it’s good to know you can call a beer rancid when you see it. Sour Ask for a taste before you buy a whole pint. Sour beers are intentionally tart, acidic, and can be really funky. You’ll often get fruity flavors, like cherry, pineapple, banana. You might also get something pungent, like wet dog. Know how to describe beer now? It’s time to test out your knowledge at one, two, or all three of these beer festivals in Lake Tahoe. What: 35 different craft beers on tap, and $5 per beer. Try and find a happy hour this good. See their lineup below! 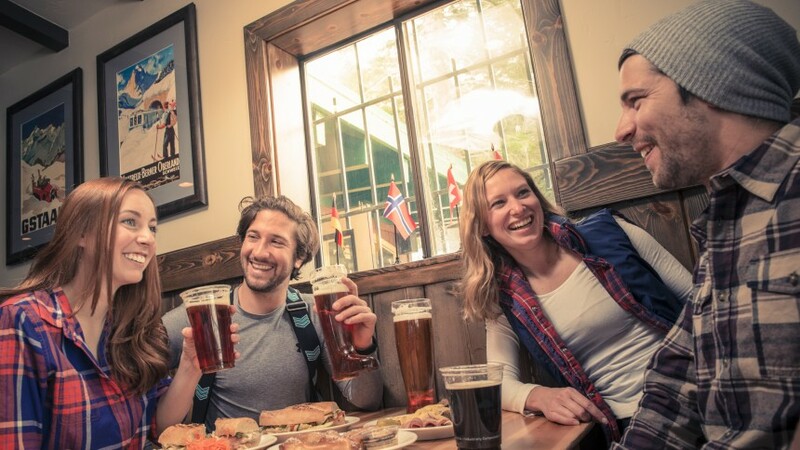 Hang out in Squaw Valley, hear some tunes, and tell your friends why your beer is so tasty. What: One ticket purchase gets you unlimited tastings from over 40 breweries, plus all the proceeds go to Achieve Tahoe. A good cause and good beer. If you’re on vacation in Lake Tahoe this September, you will not want to miss this. What: Go Bavarian. Oktoberfest in Lake Tahoe is an amazing time year after year. Entrance is free, the beers are delicious, and the Oktoberfest costumes are what you secretly wish people wore every day. We also recommend you dress up in costume and do their mountain Fun Run through Squaw Valley. Get more vacation planning tips for your upcoming trip to Lake Tahoe by seeing OneRooftop’s Complete Weekender Guide. Tasted the best beer of your life recently? Want more beer vocabulary? Leave a comment! 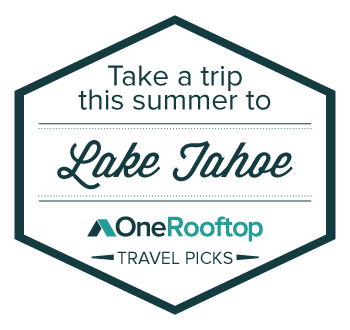 OneRooftop helps travelers save time booking a vacation rental in Lake Tahoe, from lake front homes in the summer to ski in ski out lodges in the winter. All it takes is a few text messages. Our team of live travel experts will find you a vacation rental home perfectly suited to your trip on your behalf. It’s that simple. Click to chat with a OneRooftop travel expert.